How about this truly unique gift for Mother's Day? 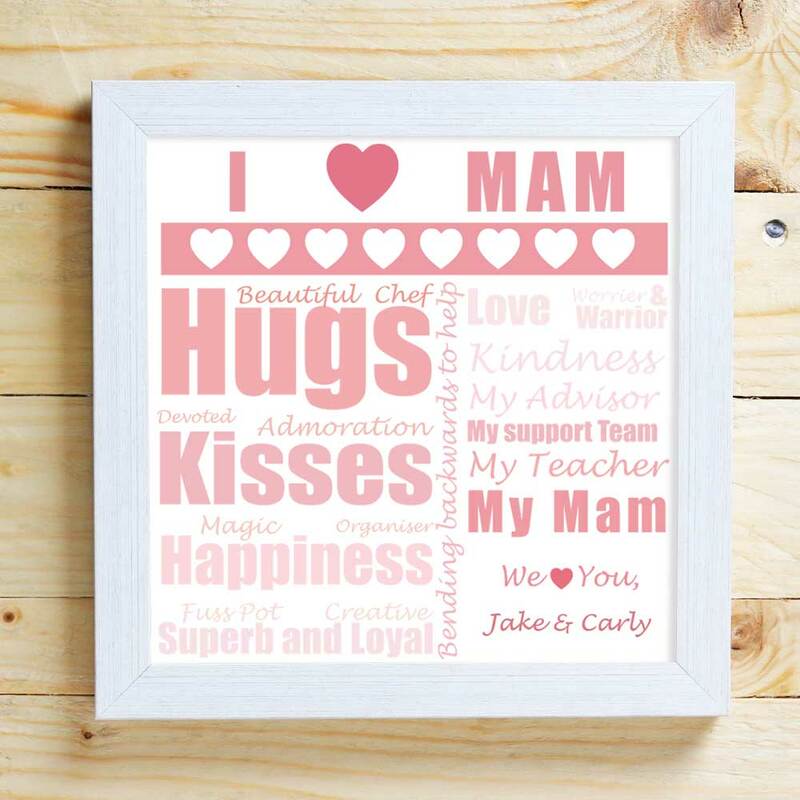 Show your Mam how much you appreciate her with this personalised framed poster. 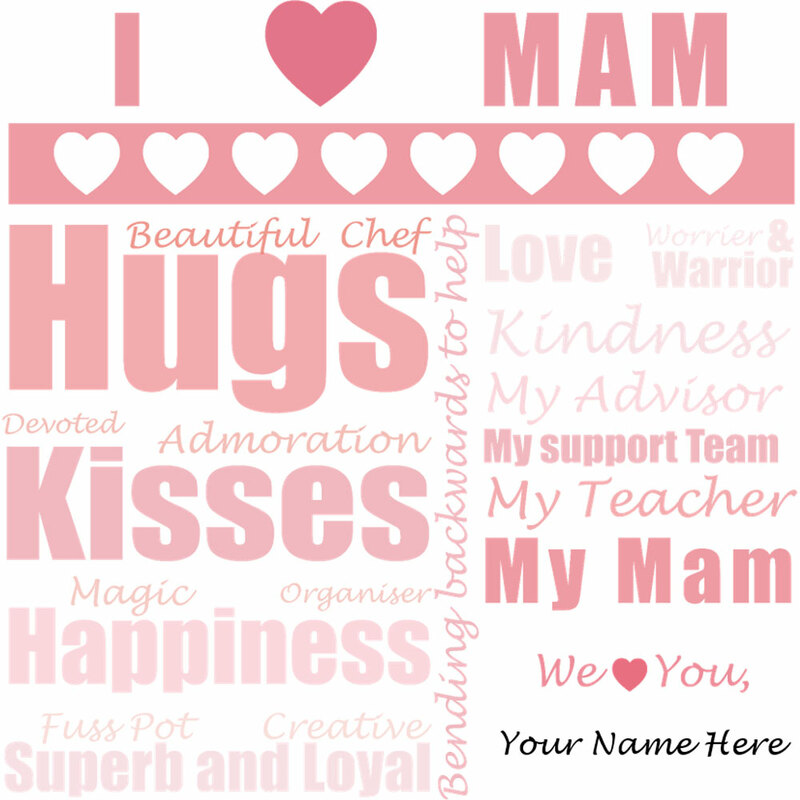 Add her childrens names into the image to make it a one of a kind just for your mother. The image is 20x20cm in size and presented in a high quality white wash wooden frame with plexiglass cover.